Numerous studies have shown that attempts to eliminate risk from playgrounds are ultimately damaging children. The key, experts say, is to encourage ‘good’ risk and eliminate ‘bad’ risk. Mariana Brussoni, Associate Professor of Paediatrics at the University of Columbia, is just one of the multitude of voices calling for more ‘risky’ play. In an article for The Conversation titled ‘Why kids need risk, fear and excitement in play’, Brussoni says engaging in play with an appropriate level of risk helps children become more active, develops their social and risk management skills and increases their resilience and self-confidence. 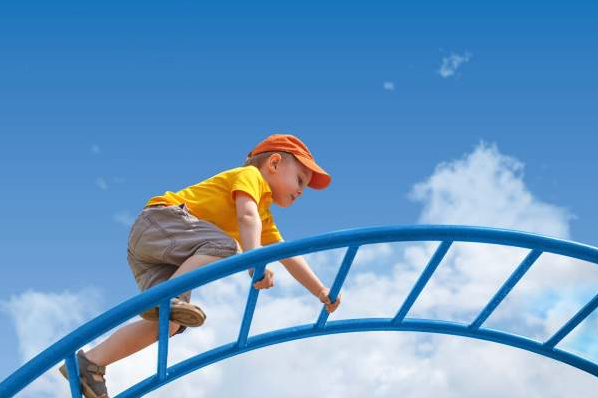 Associate Professor David Eager from the Faculty of Engineering at the University of Technology Sydney, and Australia’s highest authority on playground safety, is another passionate advocate for risky play. “We know from the research that kids who are exposed to good risk will develop into better-functioning adults, so we introduce them to graduated risk and we don’t wrap them in cotton wool,” he says. This backlash against ‘cotton wool kids’ has been captured in a new standard on playground safety, which Eager says gives local governments licence to provide exciting, more risky playgrounds. Released in August, AS 4685.0:2017, Playground equipment and surfacing – Part 0: Development, installation, inspection, maintenance and operation, supersedes AS/NZS 4486.1:1997. Eager, who chairs the group of industry experts that developed the standard, Technical Committee CS-005 Playground Equipment, says the standard’s approach to maintenance and inspections remains the same. The crucial difference lies in its approach to risk, which is calculated by conducting a risk-benefit analysis. “A big change in this Australian Standard is the mindset, and what’s changed since 1997 is the attitude toward risk, and how we deal with risk,” Eager says. “We’ve sent a strong message that yes, there is risk in playgrounds, there’s always going to be risk – but there’s good risk and bad risk. Eager explains the risk-adverse approach to playground design stemmed from a wave of litigation in the 1990s. “Back in the 90s, there was a lot of litigation linked to playgrounds. We’re in a world now where we’ve got the Civil Liabilities Act and unless the councils are negligent, they don’t get litigated against,” Eager says. Eager hopes the result of the standard will be the end of boring playgrounds that fail to capture children’s imaginations. “Councils want their assets to be used; you’ve only got limited budgets for capital works and maintenance and you want to make sure that’s maximised,” he says. “In 2014 Australia adopted the European playground equipment standards, and those standards gave us license to install very exciting equipment. One of the things I was insistent on was that we need to give local government that licence by publishing these standards. One of the changes that will give playground designers more licence is the rule that any fall less than 600 mm from a non-forced movement device can be onto a hard surface. Eager says this opens up different options for play spaces, such as balance beams, stepping stones and dry creek beds. “We don’t want sharp edges and stupid things, and we’ve got clauses in the standard to prevent them doing that, but they can have fun activities like this at a low height,” he says. On the topic of attenuation, Eager is firmly in favour of using bark, rather than expensive rubber surfacing. “We’re encouraging councils to use natural types of materials for playground surfacing, for a number of reasons. The performance of bark is superior to that of rubber, it’s orders of magnitudes better in terms of impact attenuation. And, in summer it doesn’t heat up to the same extent and cause burns,” he says. The standard now includes pictures of bark, which can be used to easily perform a visual assessment. “We tried to make that really easy, because it was one of the things that we were told was really difficult – determining what was a good bark and what was a bad and dangerous bark,” Eager says. This article was first published in the Nov/Dec edition of IPWEA's inspire magazine. Read the original article and many more here.